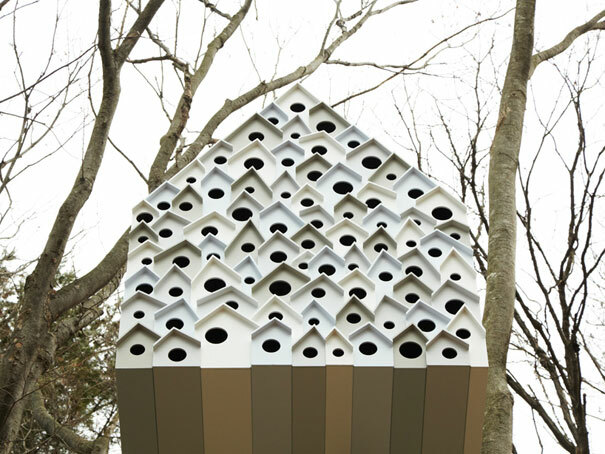 If you have ever wondered how it feels to be living in a birdhouse, come to Andu Momofuku Centre in Japan. 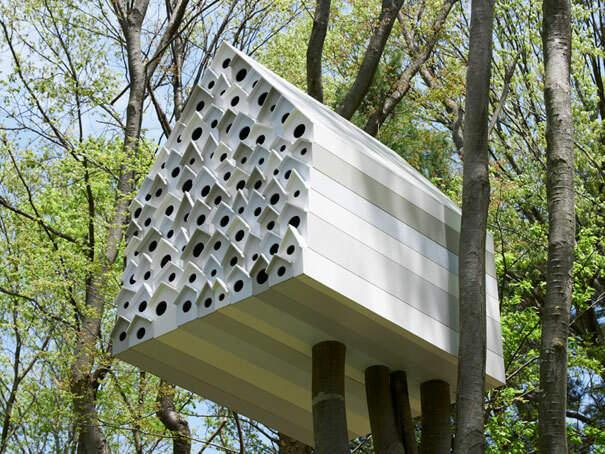 A modern tree house concept by Nendo offers you the possibility to peek into the private life of birds. 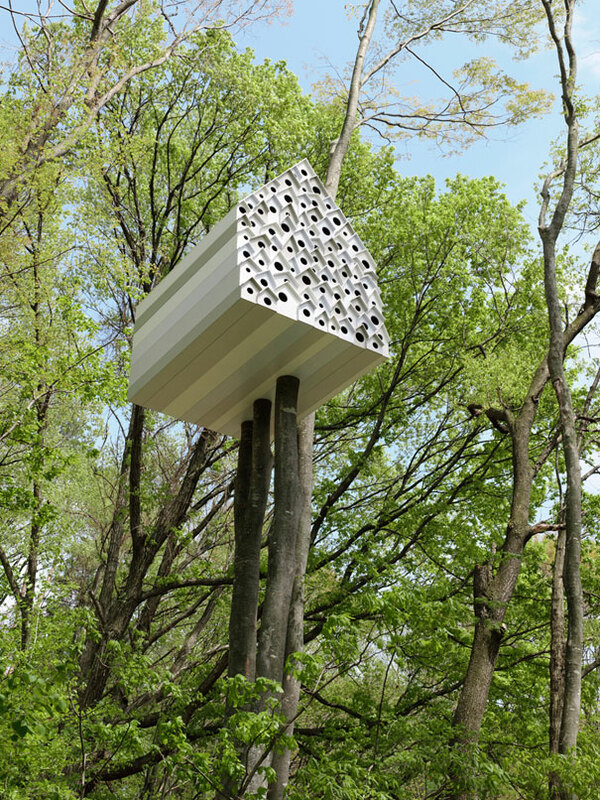 The installation is supported only by three big trees and takes on a typical house profile, divided into two parts. One side is for the birdies with 78 nesting-boxes attached to one another, while the other has an opening for one person to enter. The exciting part is that you can observe the natural activity of the birds through tiny peepholes in the dividing wall. 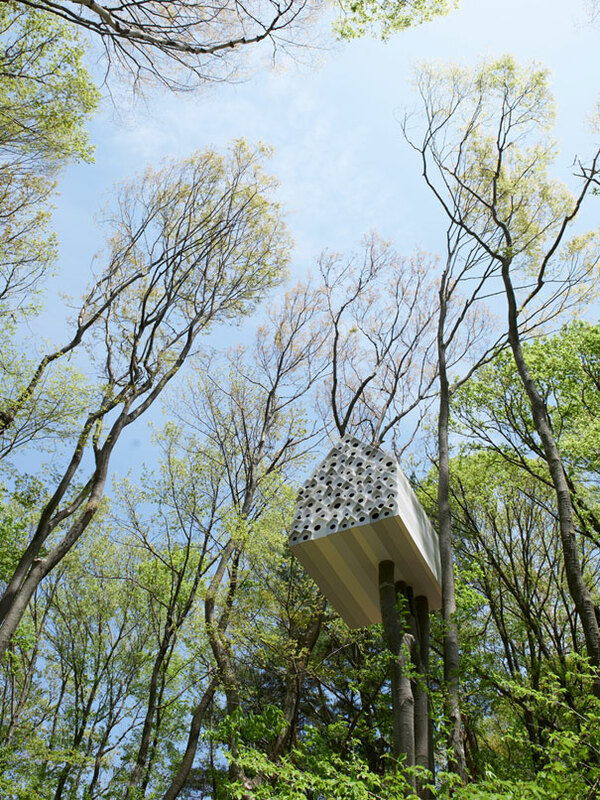 The Andu Momofuku Centre itself is a facility, designed to promote and increase access to nature activities, and the “bird-apartment” really serves this purpose.